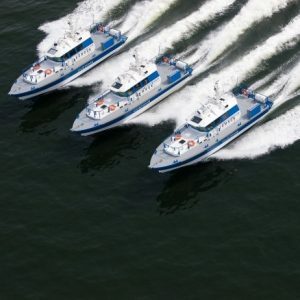 Baltic Workboats (BWB), a shipbuilding company established on the island of Saaremaa in the middle of the last century, has launched a couple hundred vessels to the seas of the world. The enterprise is about to introduce a new design in the field of work boats, thereby demonstrating the innovative nature of BWB. During the past 18 years, BWB has designed and built nearly 200 vessels. “We are well-known on European markets for the seafaring qualities of our products and for our top-level working environment,” said Margus Vanaselja, Chairman of the Management Board of BWB. The boats and launches produced by BWB stand out by their seafaring qualities, fuel efficiency and working environment. “We have brought the criteria to a completely new level as the feedback to our products has confirmed time and time again. Quality, delivery times, technical and seafaring qualities of ships, after-sales support and flexibility to meet customers’ needs are the main selling points of BWB. Given their quality and price ratio, BWB’s boats definitely have a competitive advantage,” confirmed Margus Vanaselja. 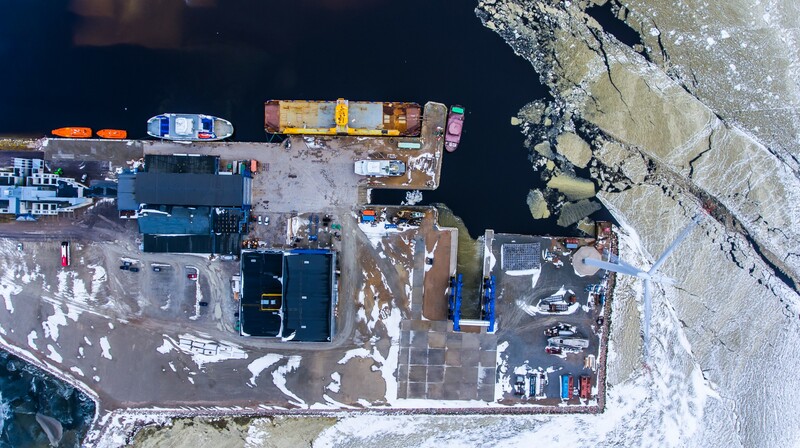 Baltic Workboats has conducted long-term cooperation with Enterprise Estonia, which will be a continued of in the framework of the development programme measure. “The time of introducing the measure of the development programme lined up with BWB’s plan to develop a new ship prototype that could later by marketed in North and South America,” explained Vanaselja. Thanks to the programme, BWB was able to carry out the project in the planned extent right away and without having to make any significant cuts. The engineering of the new ship prototype is in its final stages and the vessel is scheduled to go into production as soon as all the necessary approvals have been acquired. 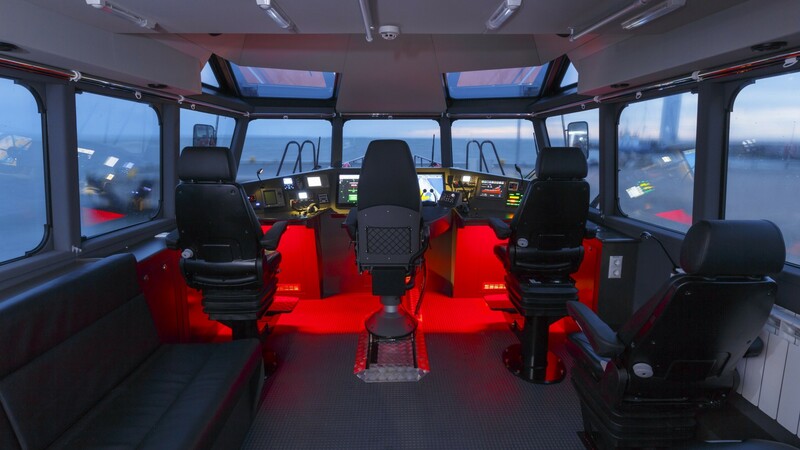 “We are designing a next generation product that would be suitable for different seas and various users.” According to Vanaselja, the goal for next year is testing the vessel and marketing it on target markets. Increasing export volumes and the added value of employees are among the core values of BWB. This means that the company actively invests towards its development. “Everything doesn’t always go according to plan, and some very successful projects could not have been launched without support from Enterprise Estonia,” said Vanaselja. Cooperation over the years has gone smoothly as Enterprise Estonia has been convinced of the great potential of our products and proactively offered options to introduce them more on an international level. “This has also helped our company grow at a faster pace. The opportunity to develop new products or services with support from Enterprise Estonia should be an attractive prospect for every company,” added Vanaselja. Entry into new markets is complicated by prejudice towards companies originating from Eastern Europe. Several virtual tours, PR films and other similar material has been created to prove our experience and skills. 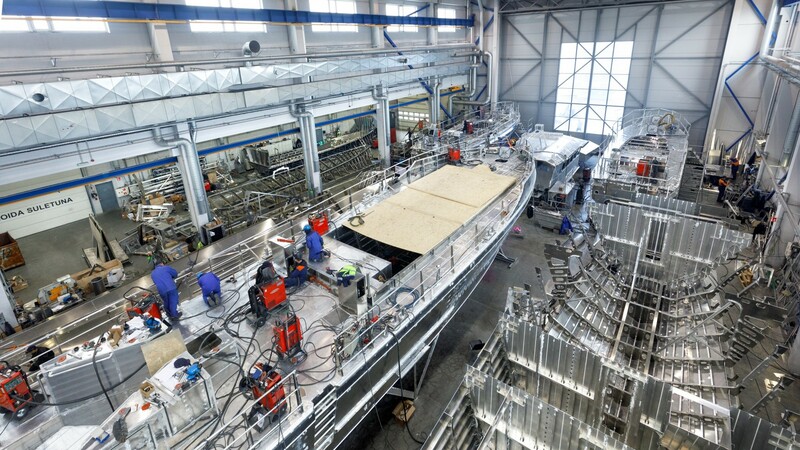 Although there are very few shipyards that are as innovative, work and environmentally friendly as BWB, we still have to work harder than expected to prove ourselves. The boats and launches produced by BWB stand out by their seafaring qualities, fuel efficiency and working environment.